In a highly anticipated ruling, the Supreme Court of the United States (SCOTUS) has overturned a lower-court decision in the prominent “Christie II” case pitting the state of New Jersey against five prominent US sports organizations. 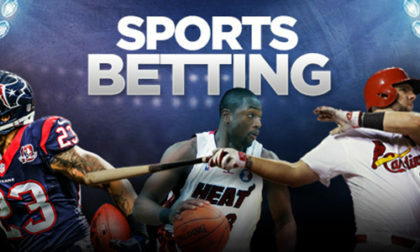 SCOTUS’s decision in the case overturns the 26-year-old Professional and Amateur Sports Protection Act, or PASPA, thus paving the way for a majority of US states to authorize legal sports betting as they see fit. 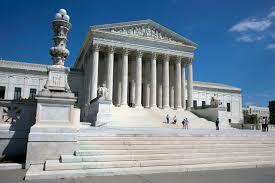 SCOTUS’s reversal of prior rulings favoring the NFL, NBA, MLB, NHL, and NCAA is final. Almost as important, the majority ruling declared the provisions within PASPA to be non-severable as a whole from the law itself, effectively rendering PASPA null and void. The law, also known as the Bradley Act, after its primary sponsor, former NY Knicks basketball star and later US Senator Bill Bradley, was passed in 1991 and went into effect in 1992. News of PASPA’s demise spread widely through sports and news media outlets in the hour following its Monday, May 14 release, befitting its widespread public interest. The United States as a whole has lagged far behind the rest of the world in formally legalizing and regulating such activity. Only Nevada among the 50 US states was grandfathered in and allowed to offer single-event sports wagering. Three other states — Delaware, Oregon, and Montana — were allowed to continue operating sports-based parlay offerings associated with those states’ lottery offerings. Monday’s official reversal by SCOTUS affirmed the core argument offered by the state of New Jersey and its Thoroughbred Horseman’s Association, the appeal’s plaintiffs, who jointly argued that PASPA was unconstitutional and violated the US’s long-standing anti-commandeering laws. Those “states rights” laws generally forbid the US’s federal government from enacting laws that dictate to US states how they must behave in many areas of civic and social conduct. Gambling issues are one of many such topics traditionally left to the states to decide. Yet many such laws are passed in Washington, DC, and its usually left to one or more states to counteract them. That never happened regarding PASPA until New Jersey began its legal challenge, spurred by voter approval of legalized sports betting in a 2008 referendum. That in turn led to two major legal cases pitting the state against the US’s major sports associations, which lobbied heavily to enact PASPA nearly three decades ago. The first case, “Christie I”, saw the leagues prevail, while the newer “Christie II” challenge sought to correct shortcomings in the earlier bill. The leagues successfully battled this later bill as well, triumphing in earlier court rulings, but the US Supreme Court unexpectedly accepted the case against long odds, at the same time refocusing the legal debate on the true core issue, the commandeering problem. In today’s ruling, SCOTUS voted 6-3 to, in essence, consign PASPA to the trash bin. Voting to reverse a US Appeals Court decision in favor of the leagues were Justices Samuel J. Alito, Anthony Kennedy, Clarence Thomas, Elena Kagan, Neil Gorsuch, and Chief Justice John Roberts. Justice Stephen Breyer offered a separate opinion party concurring and partly dissenting, while Justices Ruth Bader Ginsburg and Sonia Sotomayor voted in the leagues’ favor. We’ll have more on this market-shifting ruling in follow-up posts.